The human brain processes visual images much more easily than it can text. That’s because processing visual information is innate. A newborn baby understands the image of its mother long before it has a clue what the word mama means. This is a good thing in an evolutionary sense, of course. You don’t have to have a word for "bear" to know that you should get the heck away from it. People have long used our ability to so easily process visual information to help us do things that otherwise would be very difficult or dangerous. Take driving a car for instance. The average car in the United States weighs about 4,000 pounds, yet most of us think very little about driving one down the road at up to 80 miles an hour. Millions of trips happen every day without incident and despite the enormous opportunity for tragic error, most people drive around stress-free, listing to the radio and singing along off-key. (Am I projecting a bit?) How is this possible? Visual management. 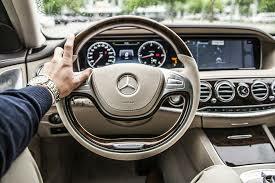 Your car’s dashboard tells you how fast you are going, how much gas you have left, and which gear you are in. Well…it doesn’t tell you. It shows you. You could have a gauge that displayed the text, “You are traveling at 63 miles per hour,” but it would take you so much longer to understand that than a glance at your speedometer. Your car also does a good job of letting you know when something needs attention. The check engine light is normally not visible, so when it pops up you notice the anomaly. The same is true for your fuel and temperature warnings. Visual management while driving extends outside of the car as well. When you see a stop sign, you don’t read the word stop. You stop because you know what the big red octagon means. All it takes is one light in a particular color to let you know if it is safe to proceed through the intersection. You don’t have to know the speed limit on every road, there are handy signs to fill you in. Without all of these visual cues that help people make instant decisions, transportation via automobile would be impossible. What if running your company or leading your team was as easy as driving your car? That may never be possible, but applying some of the same visualization techniques that make driving relatively safe and easy can be an enormous help for businesses. Digital Kaizen boards: A digital Kaizen board gives you an improvement dashboard just like the one in your car. Charts and graphs instantly give you insight into the health of your improvement culture. Stalled progress is as easy to spot as a red light. Kanban: Kanban is a system that uses visual indicators to make the flow of work obvious. Whether work-in-progress is a physical product being manufactured, a patient moving through a healthcare experience, or information work being processed, Kanban makes it easy to recognize backlogs and waiting. Gemba Walks: This one might not seem to fit, but Gemba walks are absolutely a form of visual management. Do you read a report about what happens in a particular workspace? No. You go and see it. That’s because problems and opportunities are much more apparent when witnessed first-hand. I can’t guarantee that these and other visual management techniques will make achieving your business goals as easy as driving to Grandma’s house on Sunday, but logic and imperial evidence strongly supports integrating as much visualization as you can.